Though the Mumbai and Delhi airports still rule the domestic aviation market, the share of the two in overall traffic is falling. In 2006-07, the two airports collectively handled 40.6 per cent of all domestic passengers; in 2012-13, their share fell to 37 per cent. While Delhi’s share has remained 19-20 per cent in the six-year period, Mumbai airport’s share in national traffic fell from 21.1 per cent to 17.4 per cent. During the period, both airports have seen growth in domestic and international traffic. 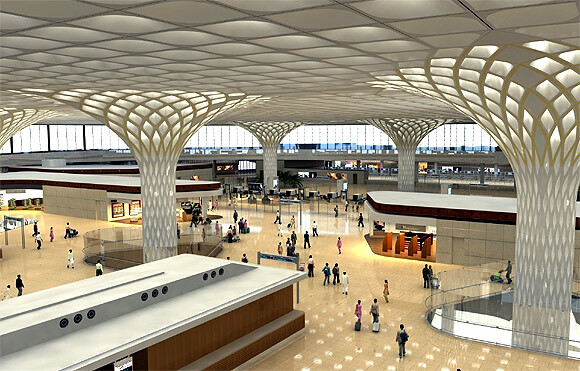 Mumbai airport officials did not respond to a query on the fall in its share. A Delhi airport spokesperson said the closure of Kingfisher Airlines (which led to Delhi losing about 85,000 domestic seats a week) and the economic slowdown had led to the decline. Of the 1,600 domestic departures within India, the two airports handle about 600. The Mumbai-Delhi route is the busiest in the country, with 50-55 flights a day; the route accounts for about four per cent of the all-India domestic passenger traffic. Last year, as many as 4.5 million passengers flew between the two cities and the route accounts for 20 per cent of the domestic traffic handled at these airports. While compiling their traffic data, airports take into account both arriving and departing passengers. Therefore, a passenger is counted twice (once at each airport). While the Mumbai and Delhi markets are bread and butter for other domestic airlines, AirAsia’s decision to skip the two airports because of higher levies could lead to a further erosion in their dominant positions. “I don’t see us (AirAsia) flying to Mumbai anytime soon. Delhi…I don’t think so. You have wait and watch for the routes we would fly. Every airline has prioritised its work there, as opposed to developing second-tier cities. There are millions of people in these cities. Chennai is half the population of Malaysia. We have created an airline that has 150 planes. So, you have to change your vision,” AirAsia Group chief executive Tony Fernandes said in a recent interview. “Excluding Delhi and Mumbai initially makes sense. The Delhi airport would be added to the network soon, but Mumbai has slot issues that could lead to exclusion. AirAsia’s focus is on under-penetrated routes, which is the right thing to do, subject to careful evaluation of the routes. The airline’s initial strategy would be to stay away from competition as much as possible, but this might not be realistic because competition will aggressively follow it,” said Kapil Kaul of the Centre for Asia Pacific Aviation. Would AirAsia succeed in India if it stays away from Mumbai and Delhi? Sources familiar with AirAsia’s operations say the Malaysian airline has succeeded in developing virgin routes. “Today, Jet Airways and IndiGo have large bases in Mumbai and Delhi, but the airlines are established in the Indian market. Jet’s first route in 1993 was Mumbai-Coimbatore and IndiGo launched its services with a Delhi-Guwahati flight. For three years after its launch, Jet did not fly to any other destination in the North, except Delhi. There is a vast untapped market outside Mumbai and Delhi,” said a source.